(CBS News) Autism is still a mystery to many, but researchers have uncovered three gene mutations that may be linked to the disorder. In three separate studies published April 4 in Nature, researchers examined children with sporadic autism, meaning the disorder does not run in their families. The studies found that mutations in the parts of genes that code for proteins played a significant role in the development of autism. Studies have suggested a connection between genes and autism, HealthPop previously reported. These new studies merely untangle the mystery a little further. The first of the Nature studies looked at 677 individuals from 209 families, each with one child with autism. The study found 126 de novo mutations - coming from neither parent - that were predicted to contribute to autism. The study also found that these mutations occurred four times more frequently in sperm than in egg cells. And the older the father, the more likely his sperm was to contain these mutations. A second study, led by Yale University researchers, found that 14 percent of subjects with autism had genetic mutations at a rate of five times the normal rate. And, 39 percent of these mutations were found to affect a key pathway for communications in the brain. The third study, led by Harvard Medical School and MIT's Broad Institute, looked at rates of de novo mutations in autism spectrum disorders. The study found that chance mutations play a modest role in the development of autism, providing small but important evidence of autism risk factors in those mutations. Do the studies line up? Mutations in two genes - called CHD8 and KATNAl2 - may potentially be autism risk factors because they were found in more than one patient. "Almost never did we see lightning strike the same place twice," Dr. Evan Eichler, one study author, told HealthDay. 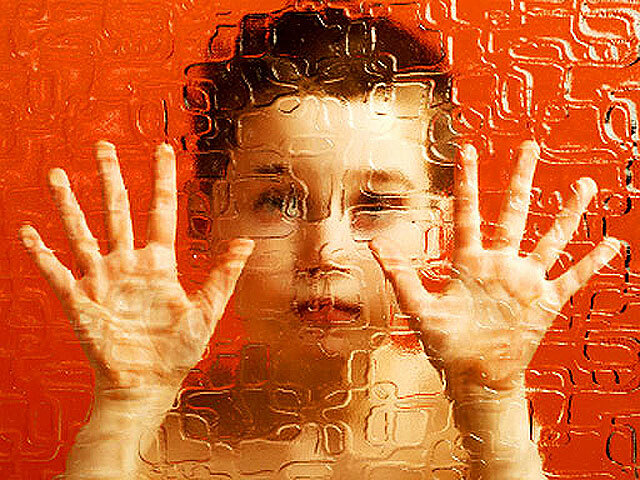 The three studies combined offer solid clues toward solving the autism puzzle. "We now have a path forward to capture a great part of the genetic variability in autism - even to the point of being able to predict how many mutations in coding regions of a gene would be needed to account for illness," Dr. Thomas Lehner, chief of the NIMH Genomics Research Branch, which funded the Daly study and helped to create the Autism Sequencing Consortium, said in a news release. "These studies begin to tell a more comprehensive story about the molecular underpinnings of autism that integrates previously disparate pieces of evidence."